The FêteFone hub is the brains behind the operation—it handles the recording and playback of your personalized greeting, as well as the recording of all your guests’ messages. It’s what makes the FêteFone completely self-contained, requiring no telephone line, cell phone connection, internet or wifi. 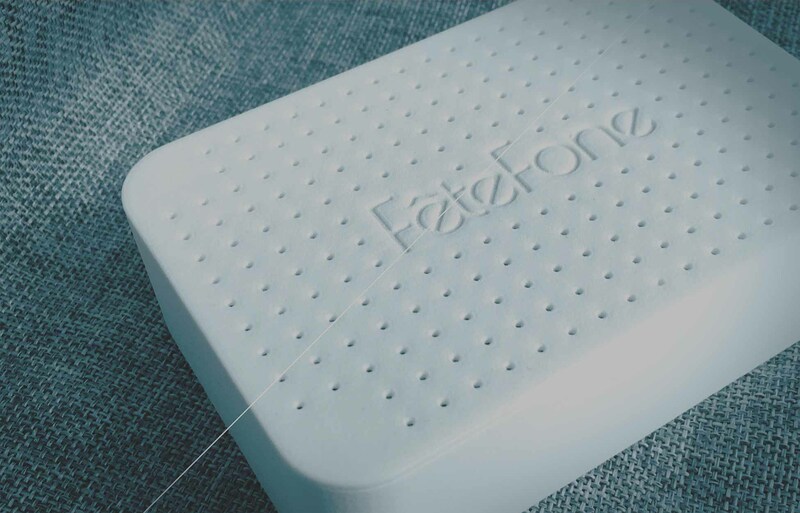 When you set up your FêteFone, you simply plug the telephone you’ve selected into the hub and plug the hub into a nearby power outlet or extension cord. Although the FêteFone hub is stylish in its own right, if you’d prefer to keep it out of view, this tiny (3.25″ x 5″ by 1.5″) and discreet device can be hidden under a tablecloth, behind a sign inviting your guests to use the FêteFone or even on the floor.